We all love a home-cooked Christmas feast but honestly who looks forward to the cleaning?! 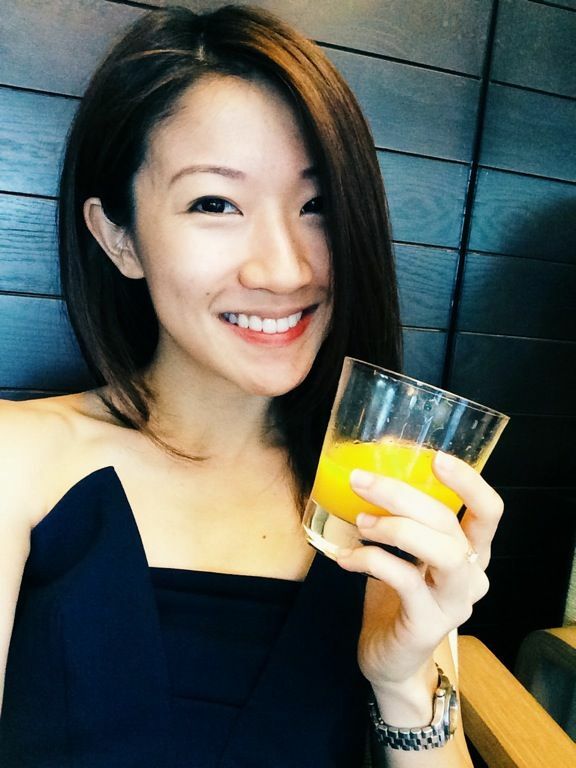 How about glamming it up at one of the best hotels in Singapore a.k.a. Capella Singapore and have the chefs be at your beck and call while you chill to the view of the South China Sea? 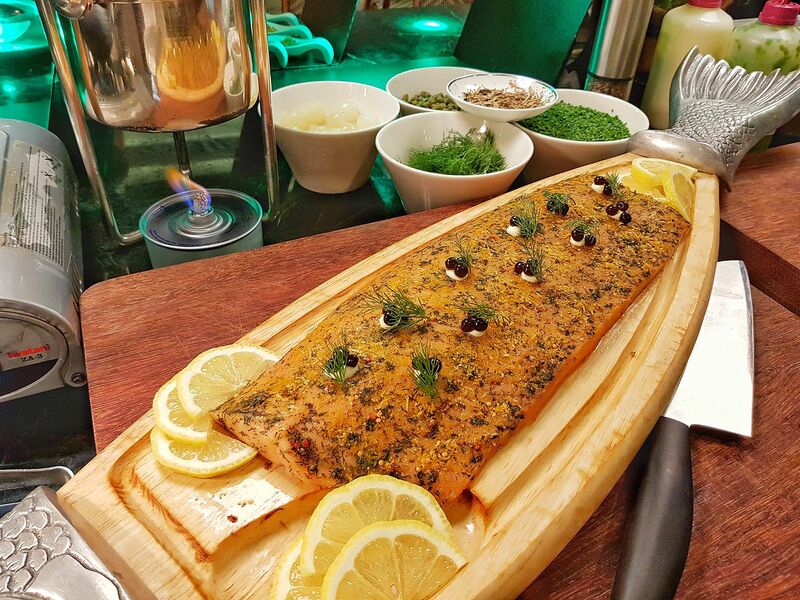 The Chef’s Table, a private dining affair at Capella Singapore, is the answer to your perfect Christmas party! 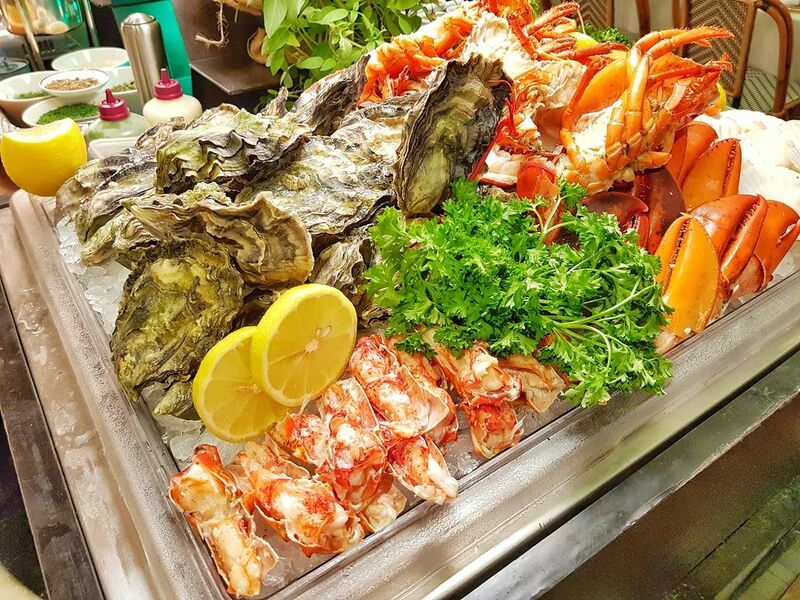 The #alldayerrday semi-buffet Private Brunch Affair caters to a party of 10 and more, and you could do it any time of the day. What's best is the 2 hours of free-flow Taittinger champagne and other alcoholic beverages of your choice to start. Mulled wine sounds perfect to us too! Hone in on the cold seafood section for the freshest oysters shucked to order (we had both US and Canadian varieties on the day we went), lightly poached Boston lobsters, succulent prawns and juicy scallops. 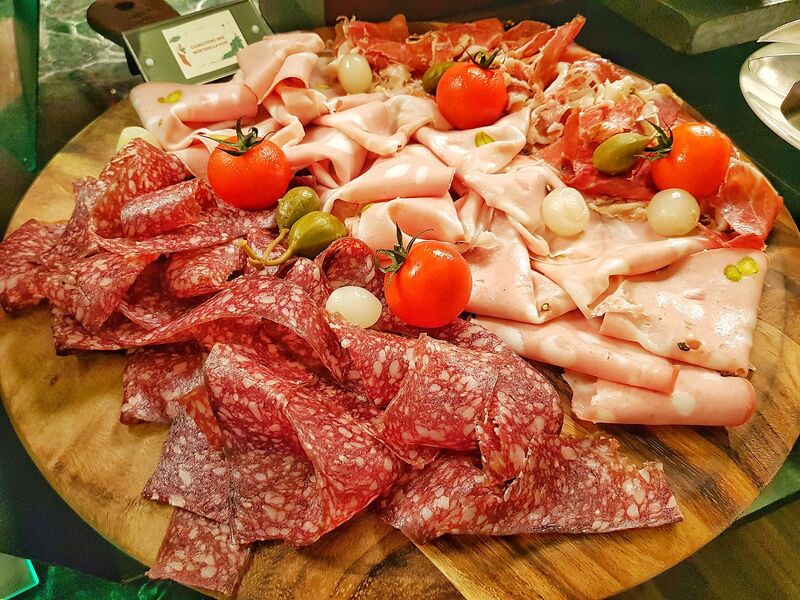 If you’re not a fan of seafood, you might wanna start off with the wonderful selection of cold cuts and cheese instead. In particular, we enjoyed the parma ham which was salty, flavourful and not too gamey. Also available were a choice of two salads- the Christmas Gammon Ham Salad with caramelized walnuts, endives and raspberries had chunks of well seasoned Gammon ham complemented by the crispy sweet walnuts and sour raspberries, while the Seasonal Smoked Duck Salad with beetroot, blue cheese, pears and oranges was a pleasant mix of umami, pungency and sweetness from the fruits. There is also a selection of decently executed, if rather unremarkable, starters served tapas style such as the Foie Gras Custard with Ginger Bread Crouton and Port Wine, Orange Marinated Boston Lobster with Pumpkin Puree and Yuzu Caviar and Vine Tomato stuffed with Smoked Haddock, Black Garlic Sauce and Arugula Pesto. We very much preferred the hot dishes. 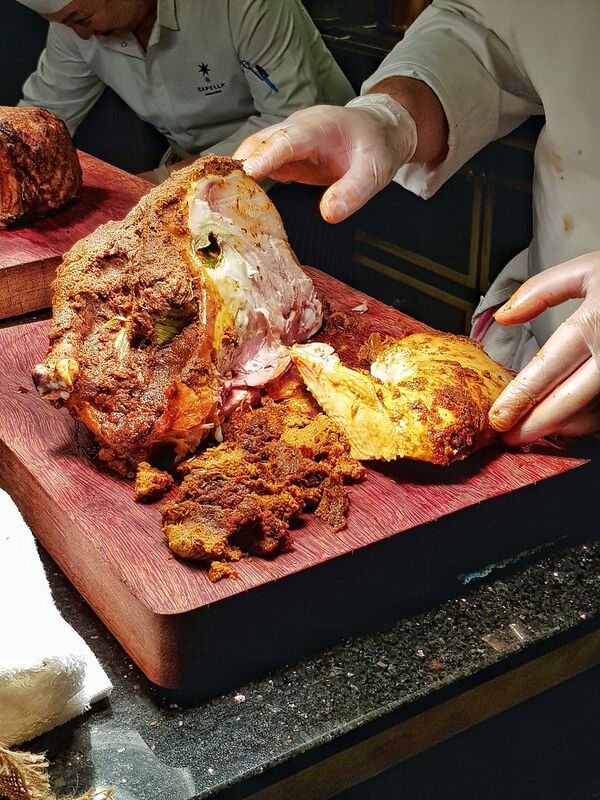 The star of the feast was undoubtedly the Baked Capella Christmas Turkey with cornbread stuffing, consisting of fat turkey basking in a thick coat of delectable and uniquely Singaporean spice rub. The bird was extremely moist, tender and flavourful- so unlike the many failed turkeys of Christmas past. 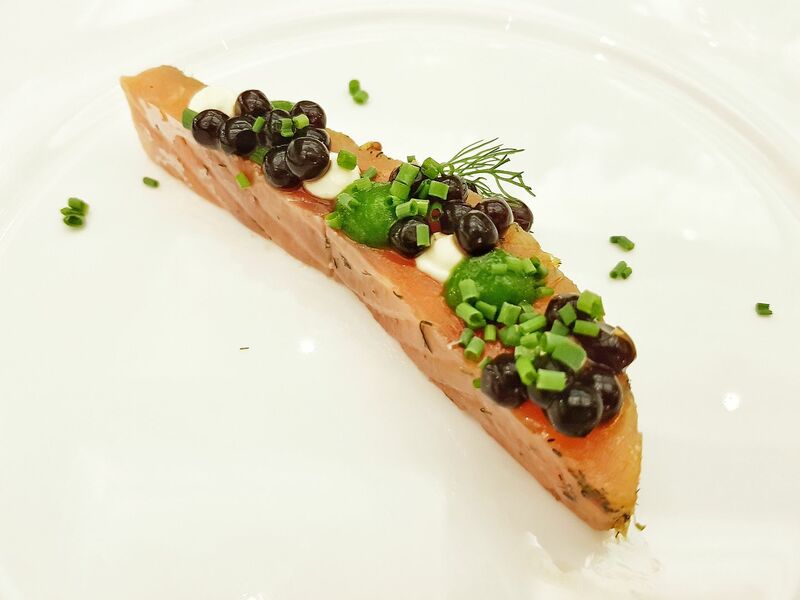 Also commendable is the Home-cured Citrus Marinated Smoked Salmon with watercress puree and sour cream. Lovely plate, and balanced flavors on this one! Another hot favourite for the night is the Slow Cooked Beef OP Ribs with apricot mustard crust, carrot spice purée and beetroot beef jus and garlic rosemary potatoes. 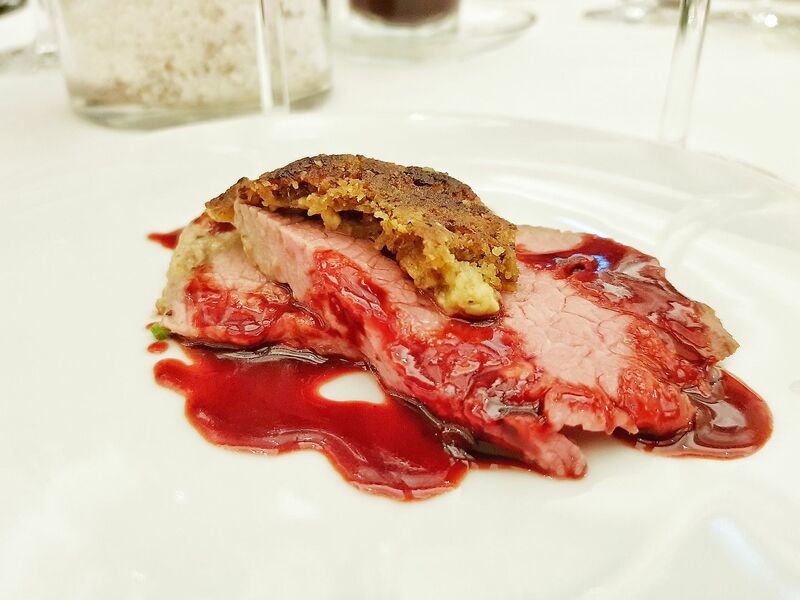 Skillfully executed, the meat was tender, of the right doneness and absolutely enjoyable with the accompanying beetroot beef jus. One of the highlights of any private dining affair is the ability to interact with the chef in an intimate setting and this is exemplified at Chef’s Table. 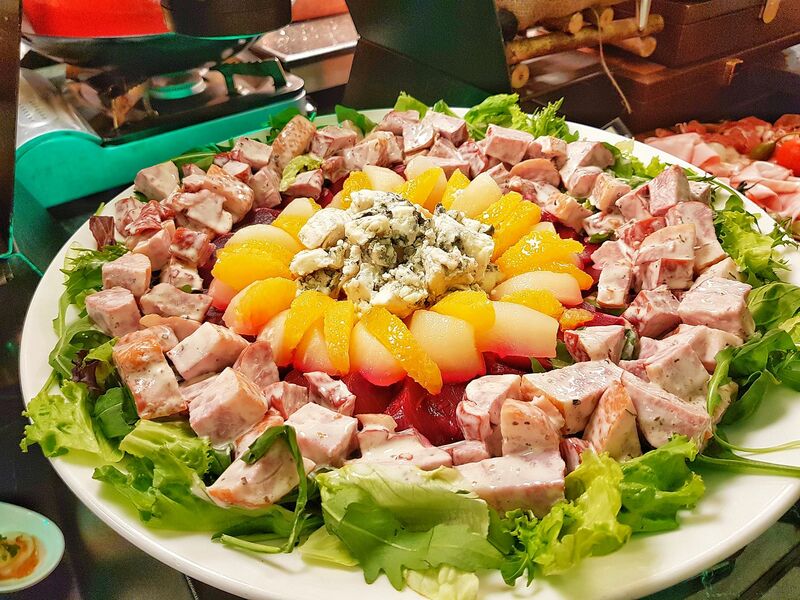 The Head Chef is extremely sociable, spontaneous and a hoot, and definitely the life of any party. He dances on request- alcohol not required! 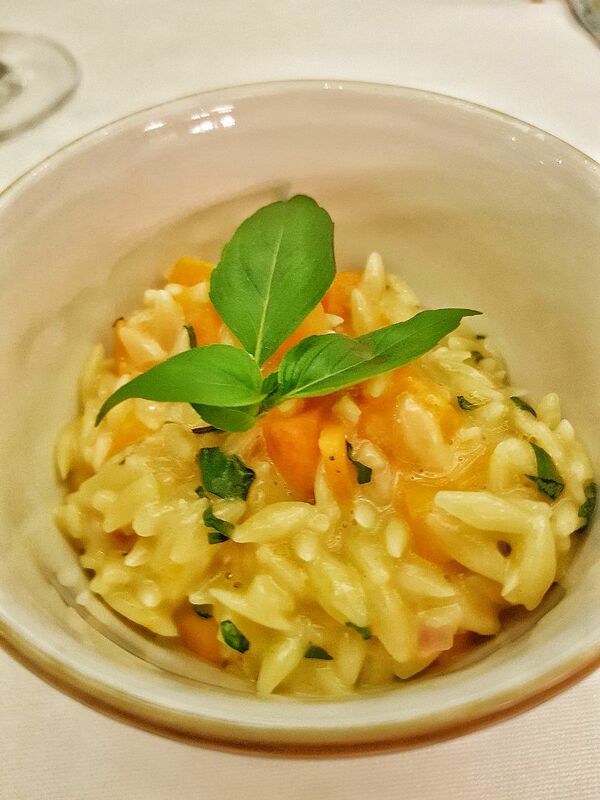 The Orzo Risotto with mushroom and pumpkin which is cooked on the spot by the Chef was refreshing because instead of rice, orzo, a form of short-cut rice shaped pasta is used instead. We could have servings after servings of this beautiful pasta. 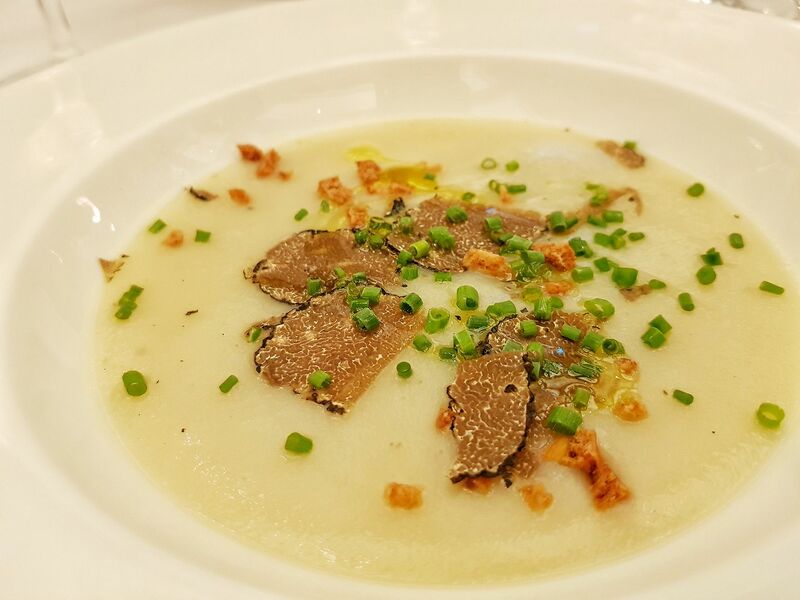 The other dish that is prepared a la minute is the Jerusalem Artichoke Soup with juniper spice and gluten free croutons. 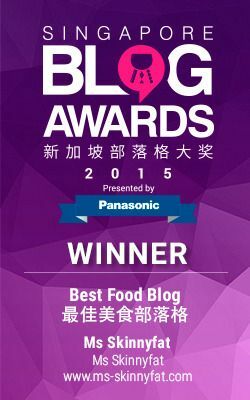 It is worthwhile to note that most of the dishes here are gluten free! Desserts are competent but definitely not the highlight of the feast. 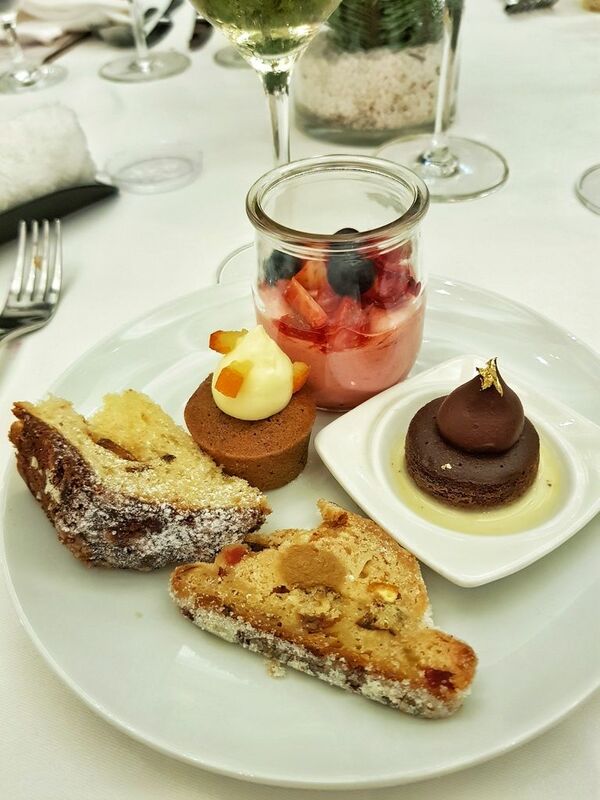 On the dessert counter, you can find a Marzipan Stollen, English Fruitcake, Raisin and Citrus Panettone, Steamed Dark Chocolate Brownie and Strawberry Mousse. Unfortunately none of them are particularly memorable so we suggest sticking with seafood and hot dishes! Get your party going for the last bit of 2017! Chef's Table is available for booking for $258/pax, with a min of 10 pax.